Applicants for U.S. citizenship take the Naturalization Oath of Allegiance to the United States of America. This year’s Independence Day may have a new meaning for some state residents. That’s because hundreds of Wisconsinites recently became American citizens. Today, they’ll be celebrating their first 4th of July holiday as such. 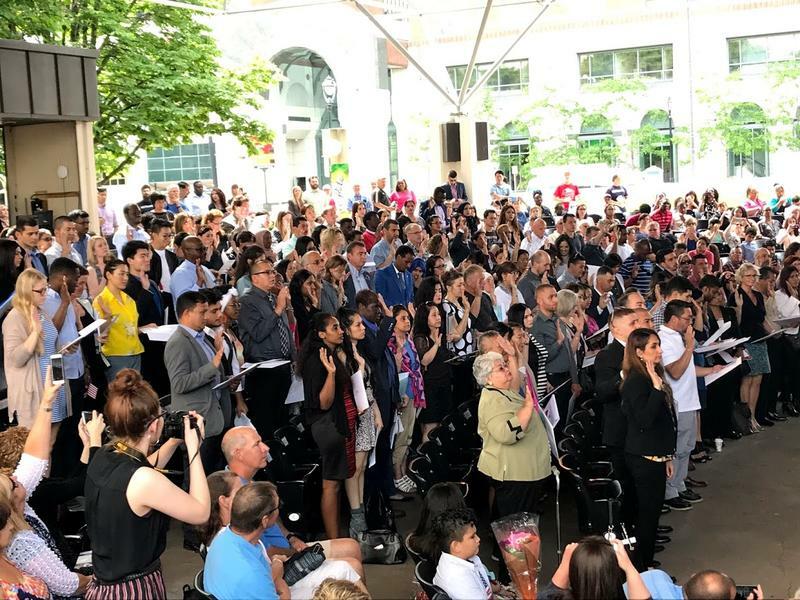 I attended the swearing in ceremony for soon-to-be U.S. citizens a few weeks ago, at the Peck Pavilion at the Marcus Center for the Performing Arts in Milwaukee. It was held in conjunction with Flag Day. Bob Curry delivered the keynote address to a full house. “Every nation in the world admits immigration, but what’s different here in America is immigrants is America,” he said. Curry is the president of DryHooch, a nonprofit that helps veterans and their families with a variety of reintegration issues. In the audience, hundreds of people -- supported by their friends and family -- celebrated becoming American citizens. The National Guard Color Guard present the flags. 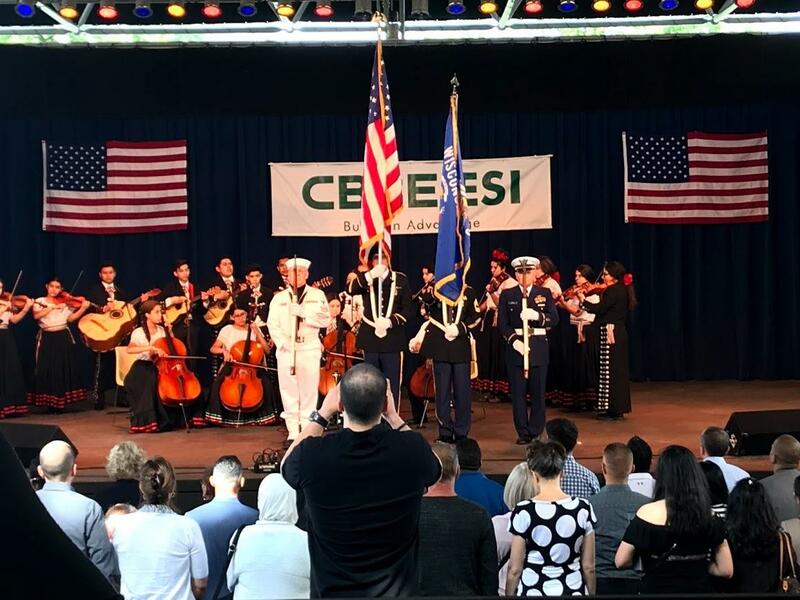 The Color Guard opened the ceremony, marching onstage with the American and Wisconsin flags, and the Latino Strings followed with a performance of the National Anthem. People emigrated from a host of countries, including Chile, Mexico, Ethiopia, Iran, Germany and Ghana. 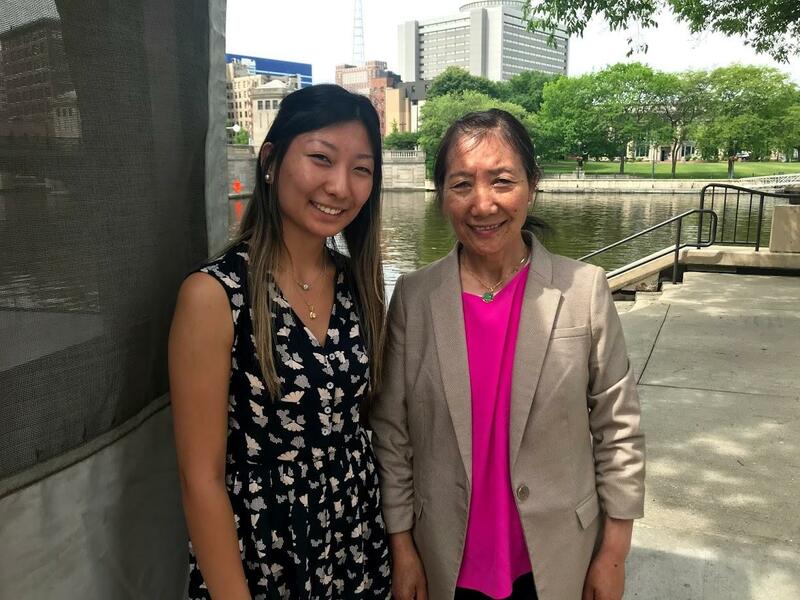 Tenzin Dasal’s family is originally from Tibet – she and her mother were naturalized at the same time. Dasal is 22, and her family has been in the U.S. for about 20 years. She says there was never a moment she didn’t feel American, since she’s been here since she was a child, but she says she knows the moment is special for her parents. Tenzin Dasal (L) and her mother. “Moving here was really important for my family so we could have a better life where we have all this freedom, we can do whatever we want, and we can feel safe, and we can love who we love and do what we want with our lives without being in fear,” she said. Dasal says becoming an American citizen is something she always knew she would accomplish. Gina Jones also celebrated becoming a citizen with her family. She’s from Kenya and has been in the U.S. for more than 20 years. Jones says now that she has her certificate of citizenship, she feels relieved. Jones was one of 140 people, from 54 different countries, who became American citizens that day. 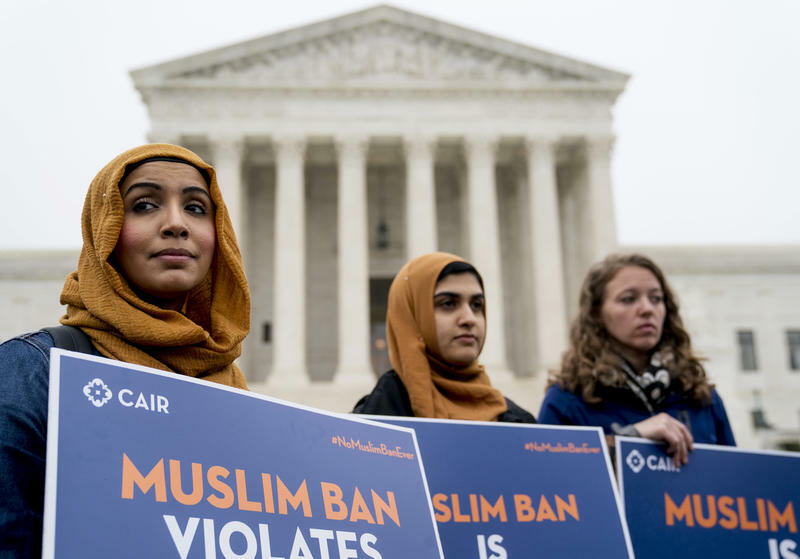 In a 5-4 ruling that gave broad leeway to presidential authority, the U.S. Supreme Court upheld President Trump's travel ban that barred nearly all travelers from five mainly Muslim countries as well as North Korea and Venezuela. 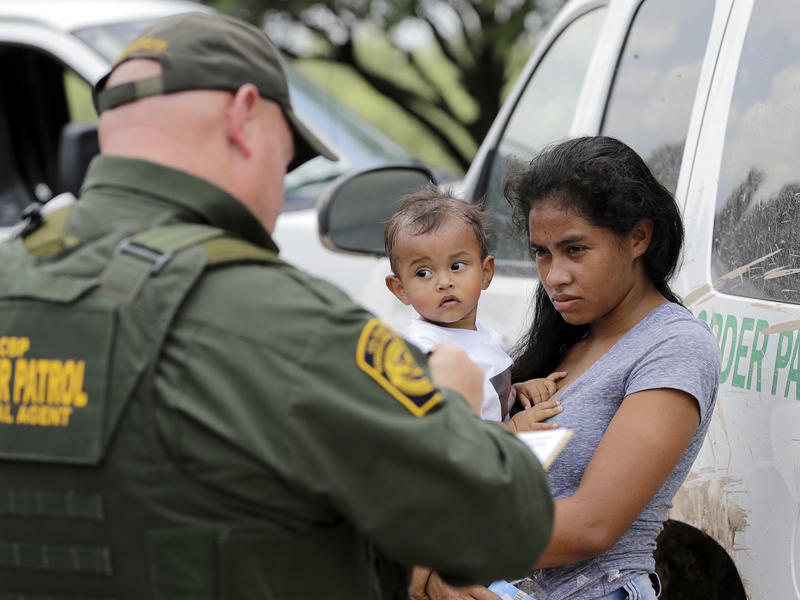 The president's proclamation was "squarely within the scope of Presidential authority under the INA," the court wrote in its majority opinion, referring to the Immigration and Nationality Act. 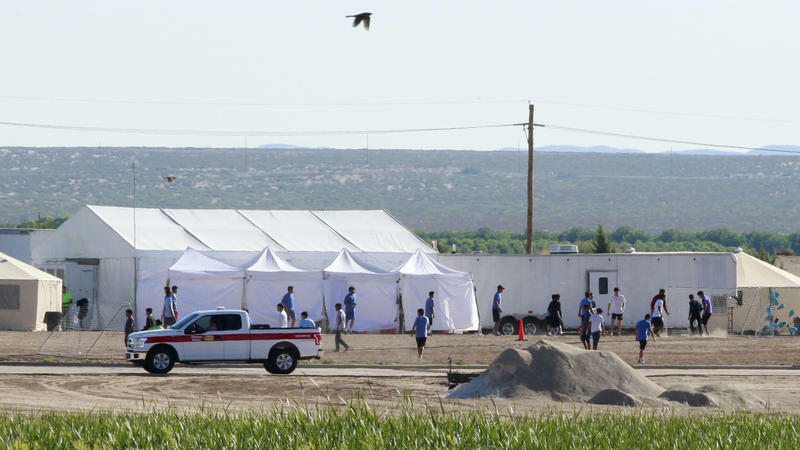 "A moment of profound vindication"
Despite pressure from President Trump for the U.S. to arrest and prosecute anyone caught crossing the border illegally, U.S. Customs and Border Protection says its agents will temporarily suspend the practice of detaining adults who arrive with children — something that had been a tenet of Trump's "zero tolerance" policy.